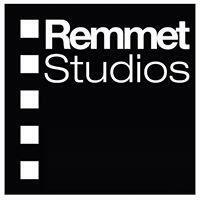 Remmet Studios features over 20,000 sq ft of production space spread over 4 stages. We offer all inclusive pricing for both daily and long term rentals. Our all inclusive pricing structure includes, power, water, HVAC, Wi-Fi, trash, hair & make-up rooms, green rooms, craft areas, and access to our in house prop house. Each studio is independent of one another and all studios feature access to the same amenities, this means no shared space for you and another production! If you can’t find something you need Remmet Studios also offers design/build services as well as an onsite shop to fabricate just about anything. Prices for design/build services are in addition to your rental fee and are dependent upon on your individual specifications.